The inconvenience of having to get up, move over a row full of stranger's legs and creep through mounds of half-eaten food and spilled beer to find a bathroom and wait in line is just not worth it. 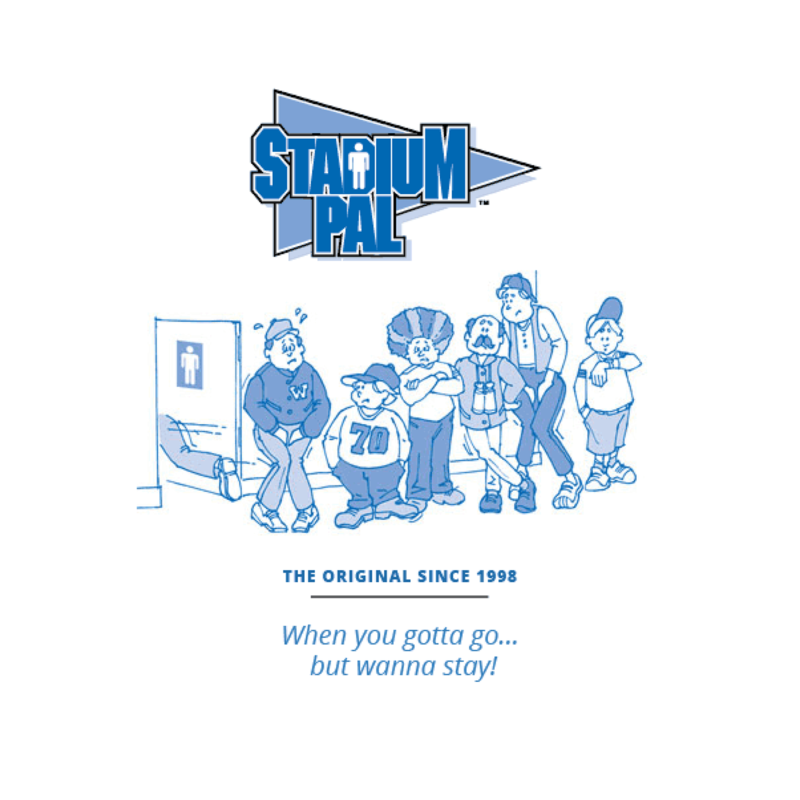 What is the Stadium Gal you ask? Once again we have adapted a product that has already been used in the Health Care Industry, and provided it to those who hate the waiting. It is called a Female Urinary Pouch. 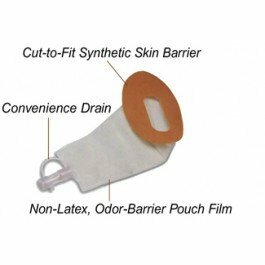 The pouch is Non-Latex, and contains an Odor-Barrier pouch film. 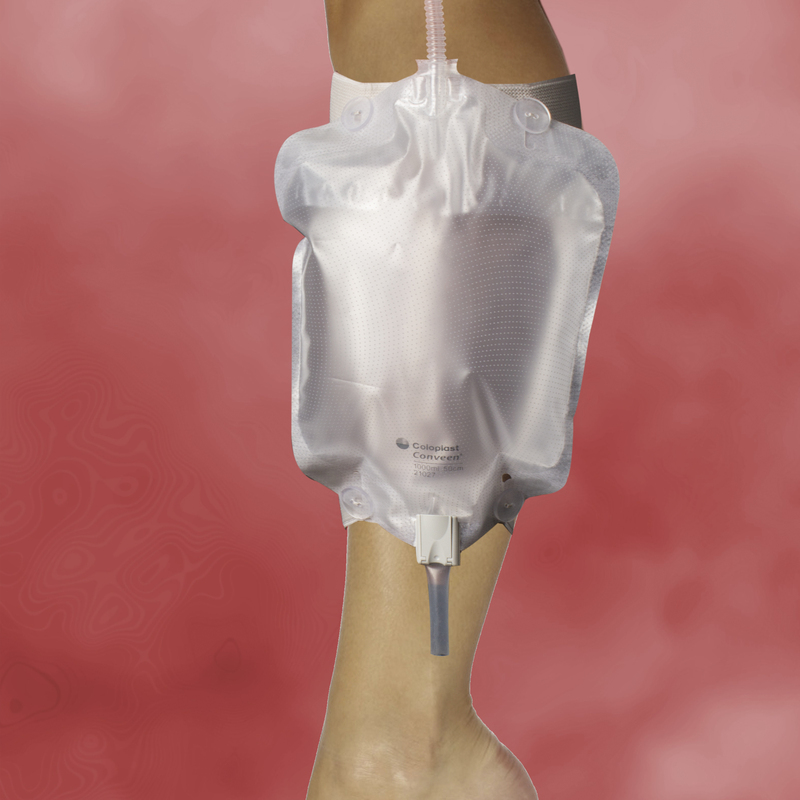 At the bottom of the pouch is a Convenience Drain that connects to the leg bag system (worn on the inner calf). It is one size fits all, and is cut to fit one’s needs. Pouch stays in place y using adhesives that are provided. Application is explained in the instruction guide. A Lady Shouldn't Spend Her Time Waiting in Line at the Ballpark. How much does the Stadium Gal hold? How do you empty the Stadium Gal when it is full? Emptying your Stadium Gal is done by placing your foot on the rim of a toilet bowl, and opening the T-tap valve. 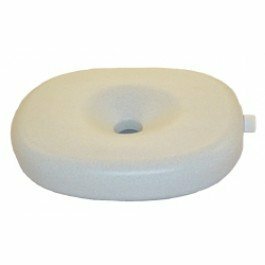 Is there a valve that prevents back flow? The Stadium Gal has a flutter valve in it that prevents back flow. How does the pouch stay on? The pouch stays on by using provided adhesives. How is the collection bag attached to the calf? The Stadium Gal comes with elastic straps that can be cut down to fit your leg. How many uses will I get out of the Stadium Gal? 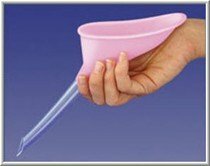 The urinary pouch can only be used once. With proper care the collection bag should last over a dozen times. Will the Stadium Gal leak, or break open? When worn properly the Stadium Gal will not leak. Follow the instructions. 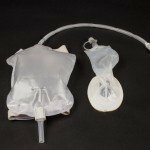 The bag is made out of heavy duty plastic and will not burst or break open. REMEMBER! You are responsible to know when your Stadium Gal needs to be emptied. It is best try out your Stadium Gal at home for the first time to learn the ins and outs of usage. How long can I wear a Stadium Gal? Stadium Gals can be worn well over 12 hours. Can I sit down using the Stadium Gal? Will I feel the need to wipe? At first, but it goes away. Could I get an infection from using the Stadium Gal? The Stadium Gal urinary pouch was designed to prevent urinary infections. 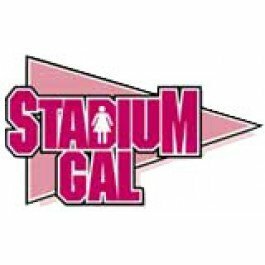 Can I use the Stadium Gal while menstruating? I just wanted to tell you thank you so much for this product. I’m 36 yrs old with sever emphysema and I also had a tumor last year which has left me in a wheelchair/crutches. Our family attends a concert every year and our seats were on the floor of a large civic center. My lungs being bad and me on crutches I knew I would just have to miss this because I wouldn’t be able to keep climbing up and down the stairs due to my handicaps. You made this possible for me and for me to share in more memories with my family. The stadium gal worked awesome and was easy to use. I love this product and will by more in the future. This really did help me keep a family tradition. I have used the stadium gal every weekend for the last six months, this is the best invention ever! I have recommended this to all my friends. I enjoy laying around and watching tv for 48+ hours straight on the weekends, the stadium gal allows me to do that! I don’t have to get up in the middle of a movie or show to use the restroom, I can just do it while laying on the couch or bed. This is also perfect for going to the movies, you don’t have to miss a thing! I wear this to bed every night, I no longer have to get up and use the bathroom. Get the regular sized, trust me you will use those extra 17 ounces. One word of advice though, heed the warning and don’t use while menstruating, it will really ruin your drainage tube and bag if you know what I mean. I wish I had known about this while I was pregnant! Hint, this is the perfect baby shower gift. I deal with urinary incontinence because of cancer surgery. I’m past the five year mark, and so am considered cancer-free, but I deal with sudden flooding when I change positions. This can be coped with by Depends and pads, but it’s smelly and messy. I bought Stadium Gal in the hopes that it would give me something better, more comfortable to use. I haven’t used it, because the directions are entirely inadequate — and because I wasn’t expecting to be told I had to shave the pubic area in order to use it. What I can follow of the directions indicates that it cannot be put on by the person using it. I was also expecting something which could be washed and re-used, and this isn’t. It says it may work for up to 12 uses. Well, if you’re using it daily, 12 uses gets expensive, really fast. Pads and Depends cost less. Not only that, the design has a bag which would hang between my legs and a bag strapped to my calf. 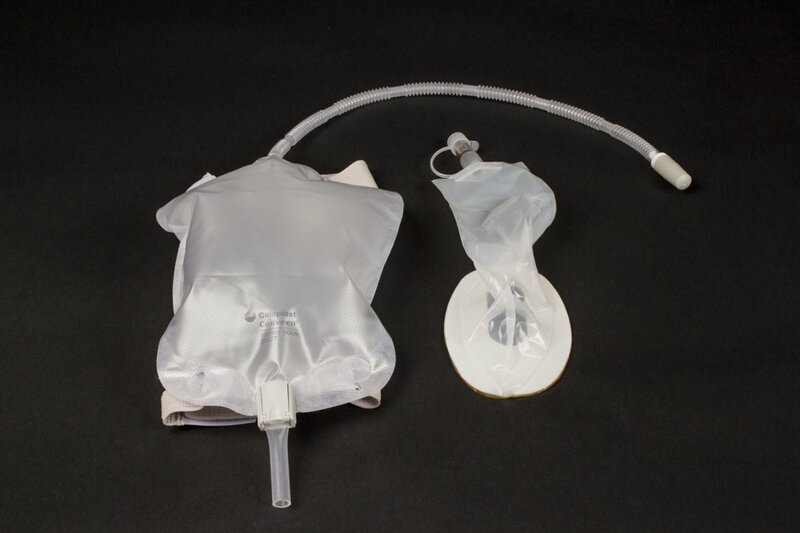 I can’t wear underwear with this bag hanging between my legs because the underwear will close off the bag and not allow the urine to drain. 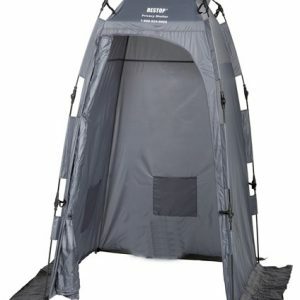 So, maybe this will work for someone who only wants occasional use, and who doesn’t mind going without underwear. It doesn’t work for someone who needs a daily product, and who wears underwear. It also won’t work for a person who is lying down on her side. I’m very disappointed.